Cookie subscription? Oreo’s ‘Cookie Club’ comes to Amazon. You can purchase a three-month, six-month, or 12-month subscription, with each factoring out to about $20 a box. 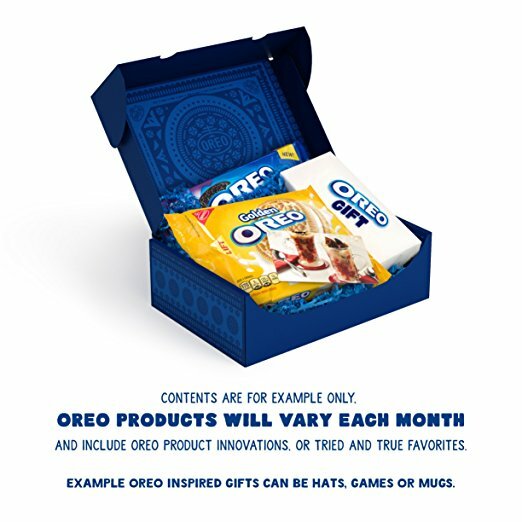 As BrandEating points out, the price is a little high given that two packs of Oreos costs around $6, so the other $14 is going toward the gift and recipe card. Still, it’s a solid gift for any Oreo-lovers in your life; Amazon lets you include a gift message if you want, too. The boxes ship out between the 5th and 10th of every month, and while they’re not eligible for AmazonPrime, shipping is included in the cost.